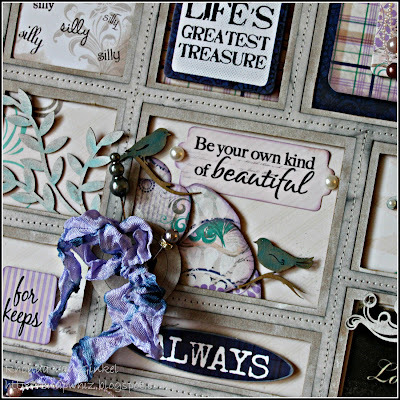 Rhonda here today to share a March Club Q project featuring the new Dusty Road collection, our new Coconut, Coal Miner and Plum Crazy PowderPuff Chalk Inks and our new Quotes Bundles. 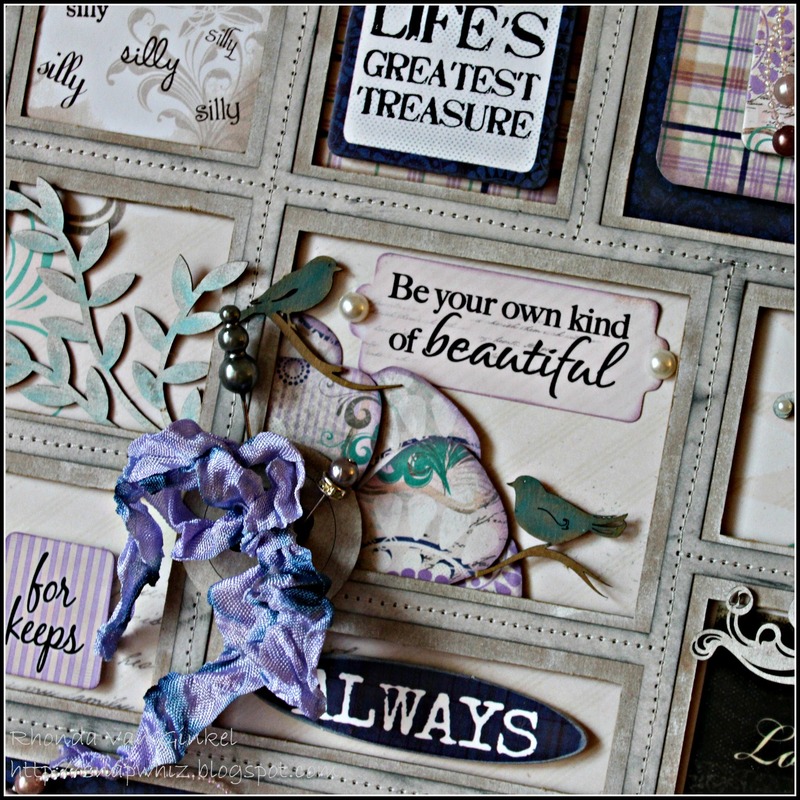 I've also used Kiwi Lane Designs Templates here as well. 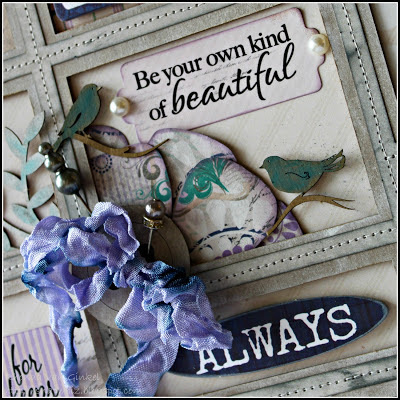 We are partnering with Kiwi Lane Designs this month and you will see more fabulous designs from our team in the coming weeks. 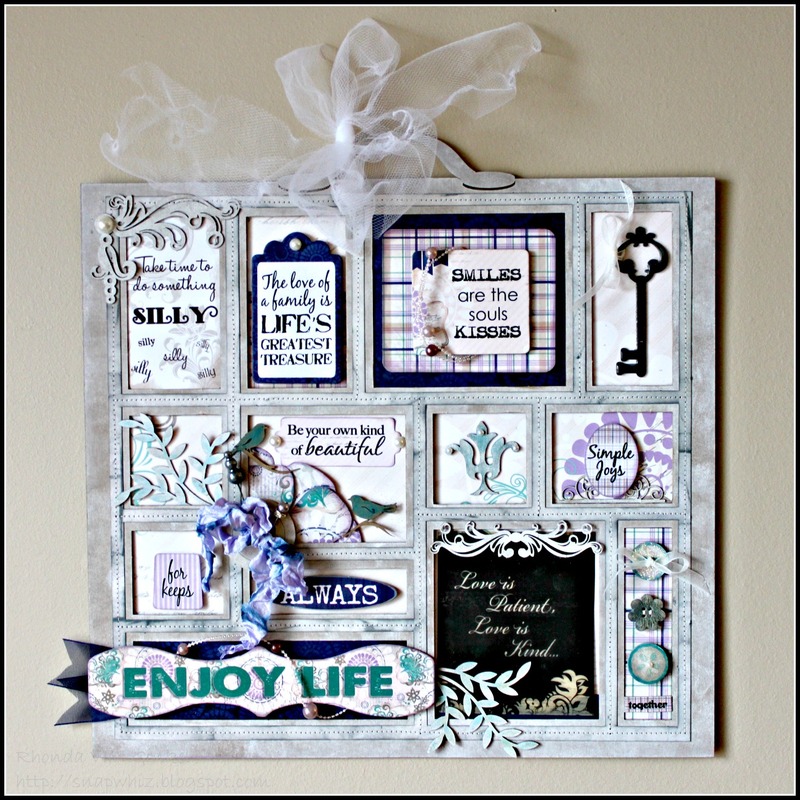 Today's project that I get to share with you has a very shabby chic vibe to it and I just had a great time putting it all together! I used the March Club Q "B" Altered kit for this project. Coal Miner was used to color the Chipboard Key. To begin, I used our Coconut PowderPuff Chalk Ink on the chipboard frame. Tip: Use an emory board to sand down the nubs left after removing die cuts. 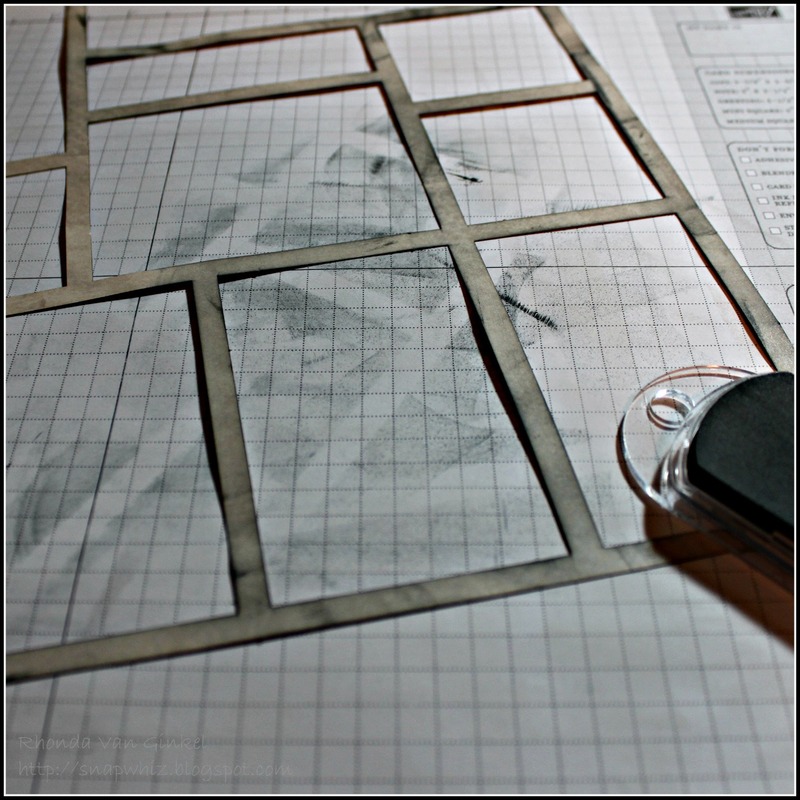 Next I inked the die cut border with Coal Miner PowderPuff Chalk Ink. I left some variation in the coloring to enhance the shabby feel. I decided to stitch down the die cut frame onto the chipboard. Once that was completed, I worked on filling in each of the windows. The "Love is Patient, Love is Kind..." quote is from our Quotes Bundle and was my starting point. The "Take Time to Do Something Silly" is also from the Quotes Bundle as well. I added some papers from our coordinating 6x6 paper pad for the collection. You will see the die cut chipboard buttons here that I colored using Baja Blue, Coconut and Coal Miner PowderPuff Chalk Inks. I added Crackle Accents on the scalloped button, Diamond Stickles on the top button and Glossy Accents on the bottom floral button. 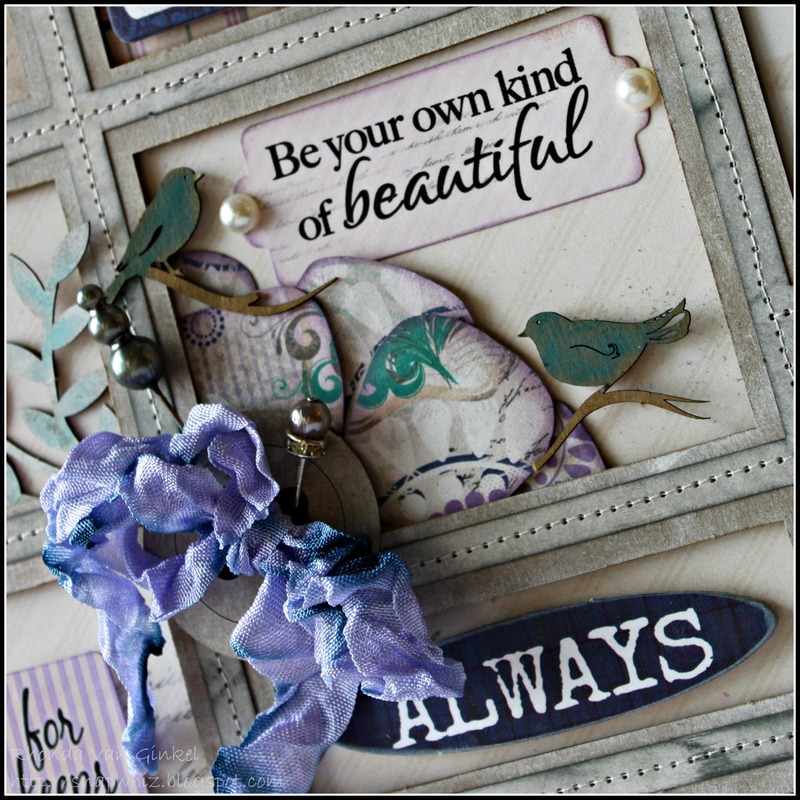 The die cut branches and flourishes were colored with Coconut and dry brushed with Baja Blue to give the soft feel. I also did the same on the flourish die cut as well. I really love to use a dry brush with the Chalk Inks for just a hint of artistic touch. I've used the Kiwi Lane Tiny Wildflower Template #1 and layered for interest. Thanks so much for stopping on over today and spending some time today! So Beautiful! I love the emery board tip. Easier then trying to cut the nubs off! 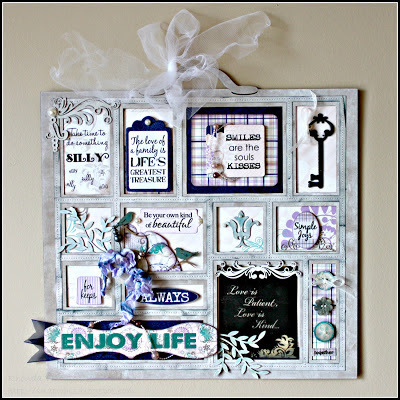 Gorgeous project Rhonda! I'm just blown away by your design!!! This is a fabulous decore piece. Gorgeous! Your stitching and inking makes it look like leather! 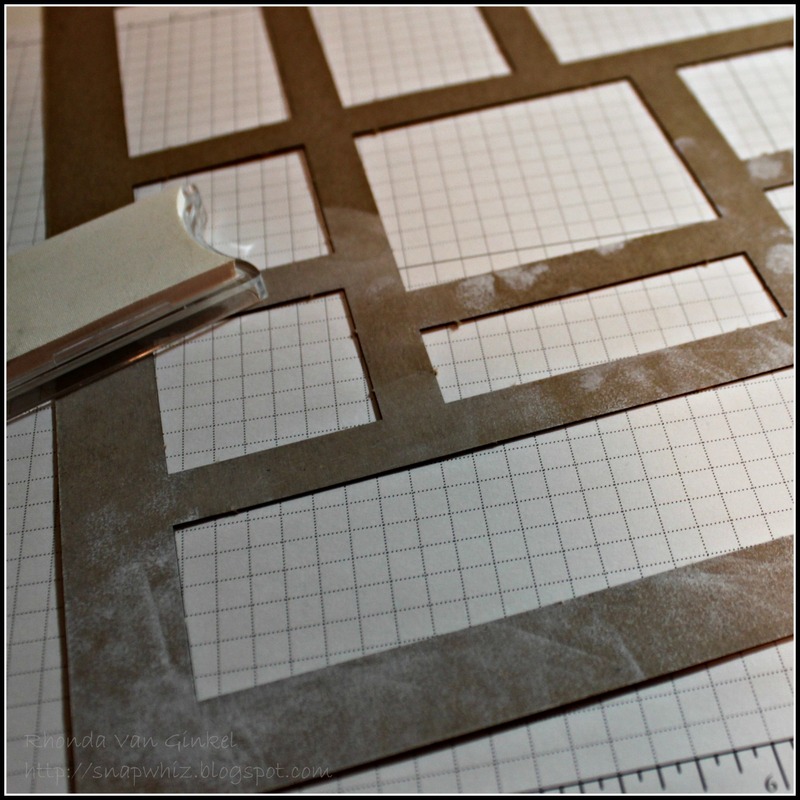 What fabulous templates .. and used so beautifully! Rhonda... this is gorgeous! 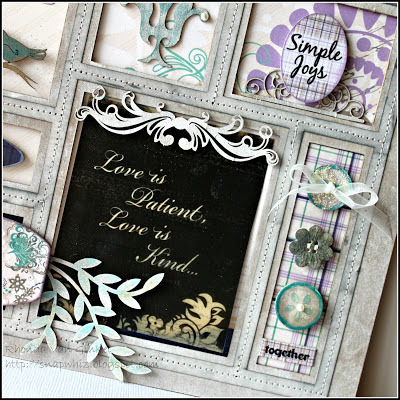 I love the way you stitched the cardstock frame to the chipboard frame! And the way you altered the color of the frame looks amazing! So many great details! Where can these chipboard frames be purchased?